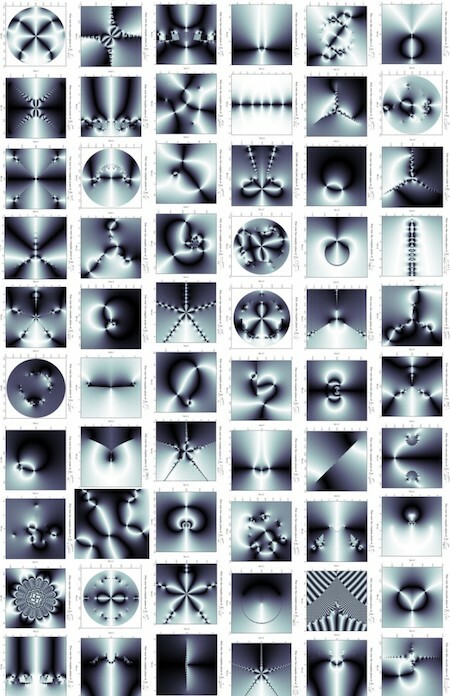 A blog post by Evelyn Lamb yesterday introduced Thomas Baruchel’s web site by of images from complex analysis. I wondered what a collage of these images would look like, so I used the ImageQuilts software by Edward Tufte and Adam Schwartz to create the image below. Thanks! I updated the post to include his name.